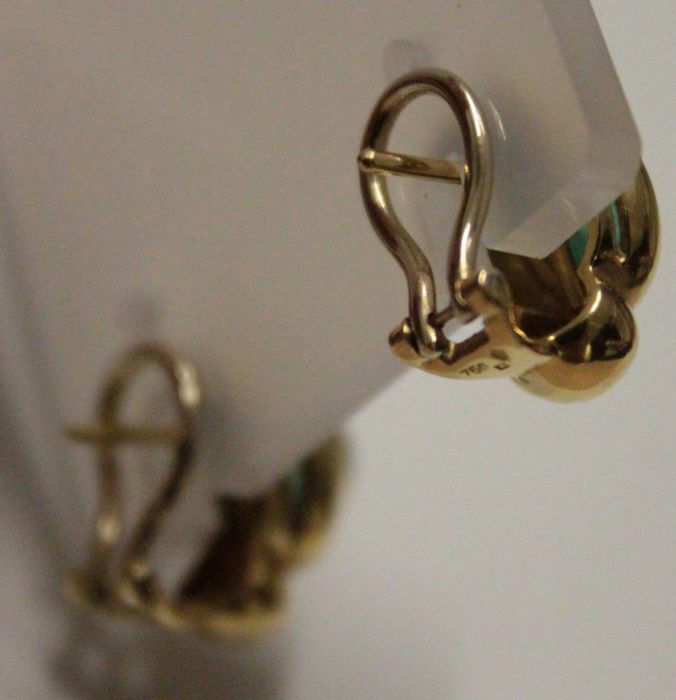 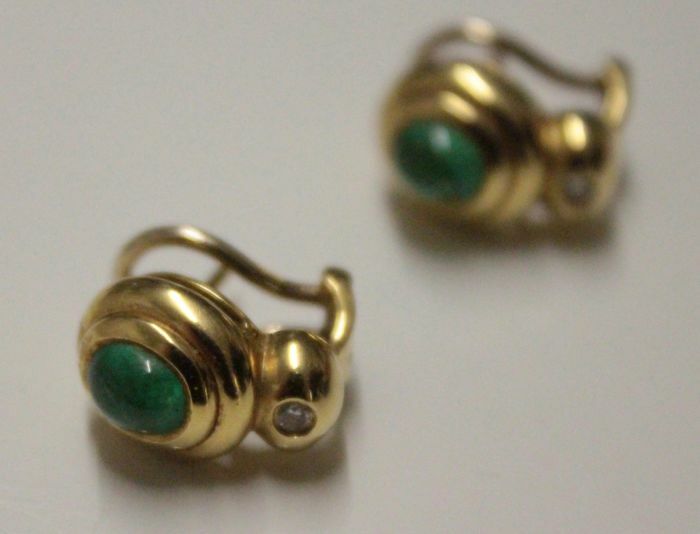 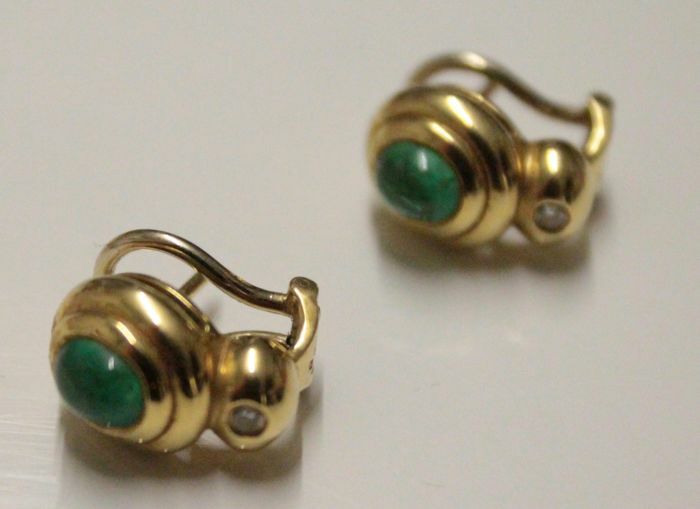 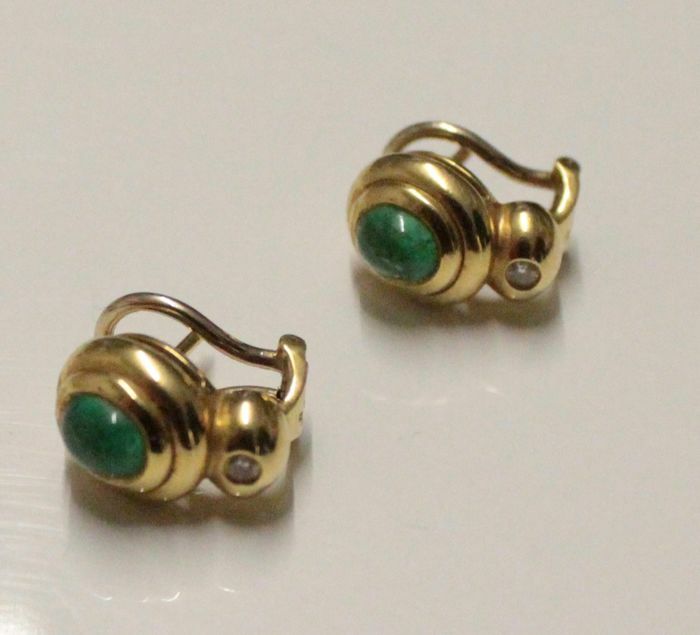 18 kt yellow gold earrings inlaid with diamond and emerald. 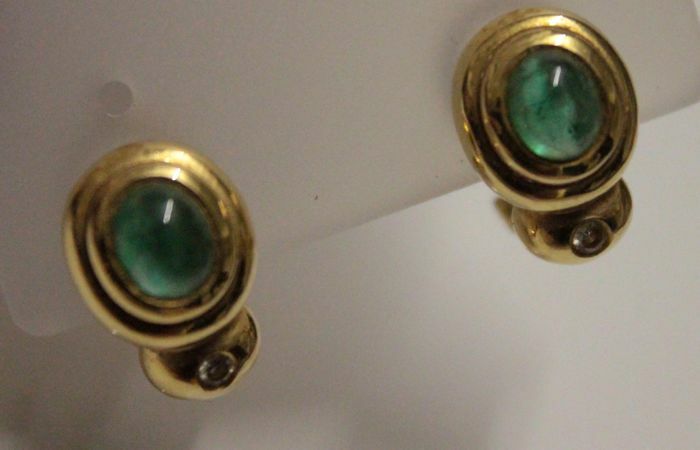 "Gemstones are often treated to improve colour or clarity. 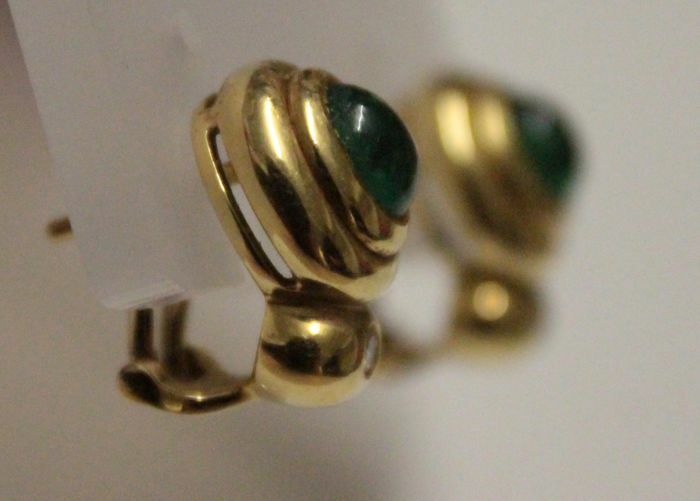 Pode levantar este lote em mão do vendedor: Rotterdam (), Holanda.